There are well-lit doors we pass through every day, ordinary entrances and exits leading to and from the mundane. So too are there hidden, secret doors leading to odd places not on any map. Some lead to chaotic, slippery halls, others to rigid and cruel alcoves. 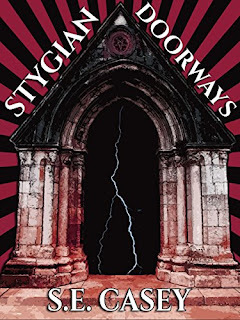 These stygian doorways, much like the namesake river of the dead, are only entrances. Once they are passed there is no going back, the consequences permanent and merciless. These are the stories of five such doors. Wow, these stories are really dark, seriously there's no light at the end of the tunnel in these tales! This impressive collection features five epic and macabre tales, Swine City, The Century Coven, Devil Music, Her Spiral City and Cinema Delicti. A really impressive collection of short stories, my two favourites were The Century Coven and Devil Music. The mortal inhabitants of the small town of Berkshire forge a pact with a coven of witches to avoid relentless persecution. Honouring their part of the bargain the witches agree to leave alone the townsfolk and retreat to the very edges of the town where they live peacefully without any further incidents. However, as witches are wise and crafty they stipulated that every hundred years on Halloween (of course) all unclaimed animals in the local rescue shelters were to be delivered to them. They are also allowed to eat any children who venture onto their land and help themselves to a halloween treat. I loved the darkness of this tale, there was a real sense of a palpable brooding atmosphere brilliantly built by S.E.Casey. The concept is really original too, here we have a man who's battling a crippling phobia of music. He cannot remember the source of this fear and so with the help of psychoanalyst delves back into his past where he peels back the layers until he finds the demons who taunt his soul. S.E. Casey is a writer of the weird, the grotesque, and the darkly wonderful. 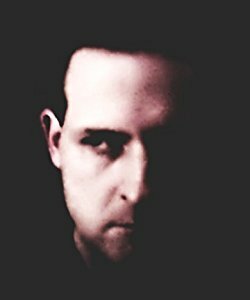 His philosophical fiction focuses on a collection of oddities, forgotten places, and fallen characters. The horror isn't in the blood on the knife, but in the desolation of the void. It's in vacant corners and empty rooms where reality has given up exposing the existential madness on which it presumes. Published in many magazines and anthologies, author information, writing blog posts, and links to his stories can be found at secaseyauthor.wordpress.com.